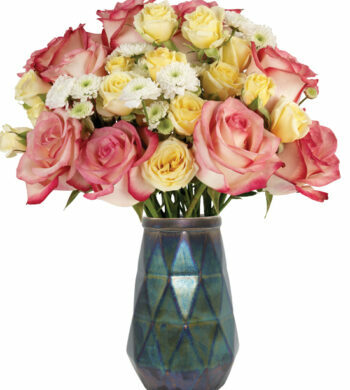 Drying flowers and bouquets are a wonderful way to preserve a keepsake. April showers are known to bring May flowers but while we wait, we love to brainstorm ways to always have flowers in our lives. Drying flowers is one way we keep our hands busy as we wait for warmer days – we love seeing fresh and fun ways to preserve our beautiful bouquets and arrangements. Not only does this process give you beautiful results, but is a great way to ensure a beautiful keepsake from a luxury floral gift a special someone has sent. The Springtime Garden Bouquet is a fine example of flowers, like mums and a variety of roses, that benefit from flower pressing. Flower pressing is the preferred method to drying smaller, more delicate flowers and buds. This technique is also good for flat blooms like roses, daisies, or even small leaves. Often after pressing, flowers will leave a pretty imprint on the paper it was pressed on that can be cut and hung. The simplest way to press flowers is with the book method. Place your flowers between two pieces of smooth, absorbent paper, then carefully lay a heavy book on top. Adding an extra weight like a brick or even a stack of books on top will help press flowers further. Keep the flowers there for at least a week before checking on them. This will give them a chance to dry to retain their shape. Once they are dry, carefully remove them from between the paper and use as you’d like. 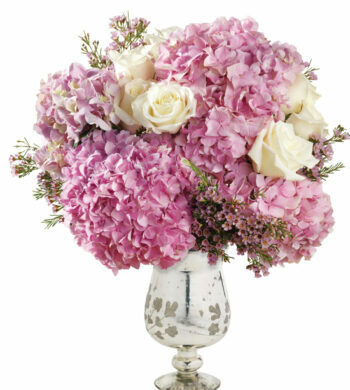 Air drying is the best way to preserve larger flowers like those found in our Pink Reverie Hydrangea Bouquet as they keep buds and blooms intact. Drying a whole bouquet is great for those looking to preserve wedding bouquets or if you want to keep your arrangement intact. 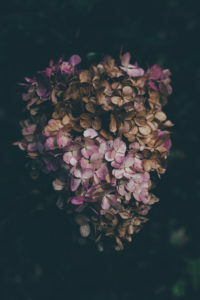 Air drying is smart technique for larger, hardier flowers like mums, tulips, and hydrangeas. 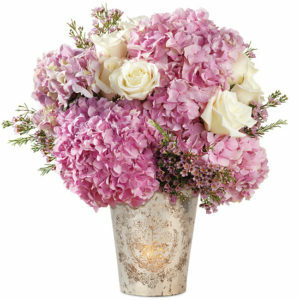 Dried flower bouquets add texture and beauty in interesting ways to create different décor options, and it’s easy. There are several ways to dry whole bouquets but the simplest way is to just hang them upside down! 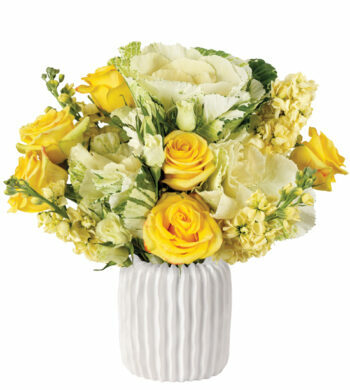 When you feel your bouquet is ready to be preserved, tie the stems together with string, twine, or even dental floss. 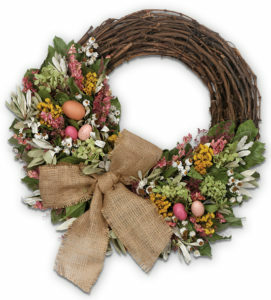 If drying flowers takes too much time, our Spring Treasures Wreath integrates dried flowers and decorative eggs that are ready for Easter! 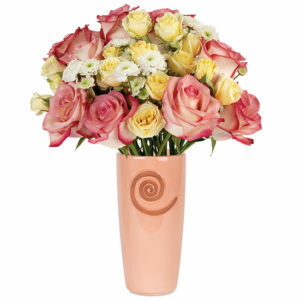 Find a place to hang the bouquet in an area with good air circulation, away from direct sunlight. Hang for several weeks to ensure the flowers are fully dry. Whether you decide to press or air dry your flowers, there are an abundance of ways to display them. With the Easter holiday quickly approaching, one fun way to use pressed flowers is creating pressed flower Easter eggs. Use a small paintbrush and clear glue to carefully adhere flowers to dyed eggs and allow to dry. These eggs celebrate the holiday and sunny spring days ahead and will look perfectly festive in your Easter basket. Some easier yet similarly beautiful dried flower décor ideas include gluing pressed flowers onto cards or bookmarks, or hanging dried bouquets on walls. Shadowbox frames are also a great way to keep whole, dried bouquets intact as a precious keepsake. But, if all this seems daunting, many of our wreaths and preserved designs are created with fragrant ingredients and handcrafted for a lovely dried floral arrangement while we wait for fresh flowers to grow in the sunnier days ahead!